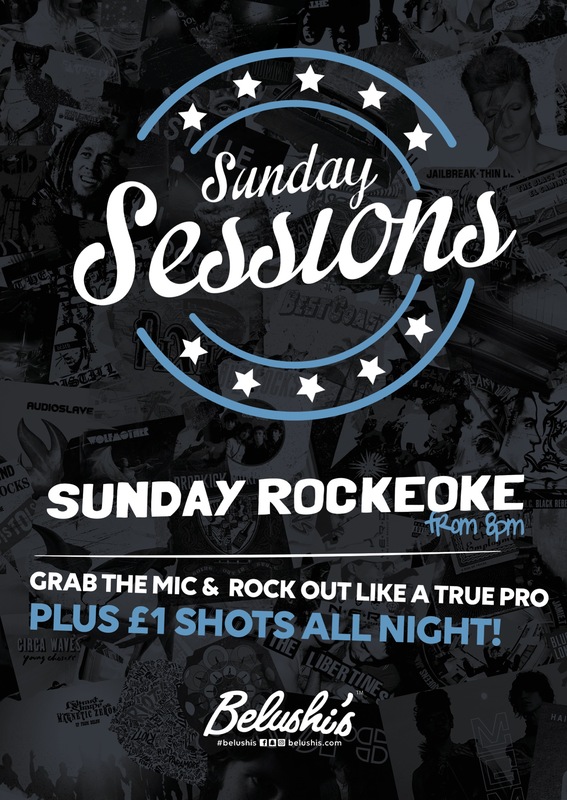 Come down to Belushi's Bar for a kickass Rockeoke every Sunday! Take to the stage for a night to be remembered (or not)! Once a month, be the rock star and perform along a live band!